Green roofs insulate your house by reflecting the summer sun away from the home and by helping hold in the heat in winter. Not just any plant will work in the extreme environment of a rooftop, however. Choose plants that are up to the task of making the roof part of the living landscape. Rooftop vegetation is exposed to intense heat, drying winds, extreme cold, and must be able to thrive in just a few inches of soil. Of all the plants in the world, succulents offer the greatest variety of species that are suitable for a rooftop environment. Orange stonecrop stays four to six inches tall and has green foliage, bearing yellow-orange flowers in summer. Blue Carpet Sedum has purple-tinged blue foliage and stays under 4 inches in height. Dragon's Blood has striking magenta foliage, making it a great combination with other species. Sedums are virtually maintenance free, requiring just a bit of water to get established and then spreading freely as long as they are in sun or partial shade. If you're looking for a place to purchase them online, Hirt's Gardens is a great choice, offering more than a dozen different varieties. Houseleeks are also known as sempervivum and grow as a tiny groundcover under four inches tall, unless otherwise noted. They are a great complement to sedums, as the foliage has a strikingly different growth habit. Pacific Blue Ice has makes cool blue rosettes that multiply in a miniature version of themselves - hence their other name, hen and chicks. Fauconetti makes for a very unusual green roof plant with silvery hairs that make it look like it is covered in spiderwebs. Tree houseleek, or tree aeonium, is a close cousin of the others that resembles a miniature palm tree about 10 to 15 inches tall. Like sedums, houseleeks require no care to speak of, but it is important that the soil mix be extremely well-drained. Check out Simply Succulents for a selection of over 40 different varieties of houseleeks. 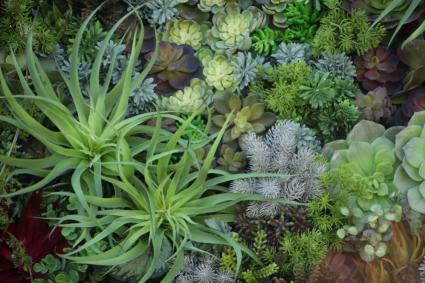 Succulents are generally the only plants used in the ultra-thin living roofs when covering a large rooftop, as they can survive in as little as two inches of soil. If you design your roof, or even just parts of it, with four to six inches of soil, you can consider some of the following wildflowers. These are all drought tolerant species, but will need a bit more moisture than the succulents to get them started and should be watered whenever there is more than a few weeks without rain. Otherwise the only care required is to cut back the flower stalks in fall. 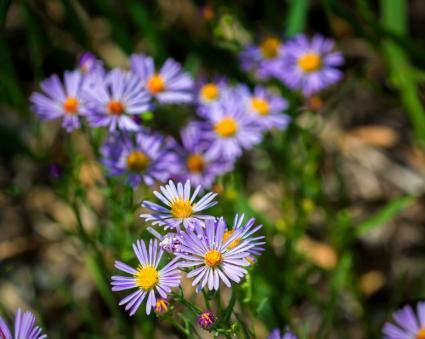 Aster is one wildflower that is found in craggy, high elevation areas, meaning that it is built for the tough conditions of a green roof and it's deep purple flowers never fail to attract butterflies. Yarrow is a mat-forming groundcover with broad white-capped flowers in summer that are also a favorite of butterflies. Sea thrift grows wild on oceanside cliffs and resembles a small, clumping grass, but is crowned with pink flowers in summer. While succulents are normally grown from rooted plugs, wildflowers do best from seed. Try Outsidepride.com for the three varieties listed here, as well as many others that will thrive on a green roof. Many aromatic herbs are drought tolerant, but these three are also low-growing groundcovers that can survive in just a few inches of soil. Like the succulents, these herbs need water to get established, as well as in periods of drought. They also benefit from a light shearing each fall, though this is not required. Oregano varieties like Kent Beauty grow about six inches tall and fill the air with smell of the Italian countryside. Thyme typically stays under four inches in height and is covered in pink flowers for much of the summer. 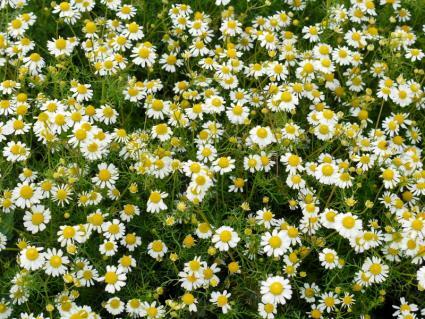 Roman chamomile is a highly aromatic groundcover about three inches tall and is so tough it can even tolerate foot traffic. To cover a large roof area with groundcover herbs, it's best to buy them as small plugs to get the most bang for your buck. PlugTrays.com (part of Mountain Valley Growers, Inc.) is a great source for these - they are certified organic and come in trays of 128 plugs at a reasonable price. Not every roof can be converted to a green roof without making some structural improvements to ensure the house can support the added weight of the soil and plants. However, there are more and more green roof companies springing up every year who can help you decide if this is the right approach for you, such as Recover Green Roofs, serving the New England area, and LiveRoof, a full service green roof company offices throughout the country. 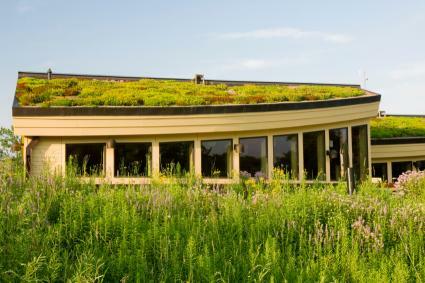 Emory Knoll Farms is a great source for further information on green roof plants. Even if you don't want to tackle the massive project of converting your home's entire rooftop to a living garden, you can still experiment on a small scale with a shed, gazebo or even just a tiny birdhouse using the right plants. 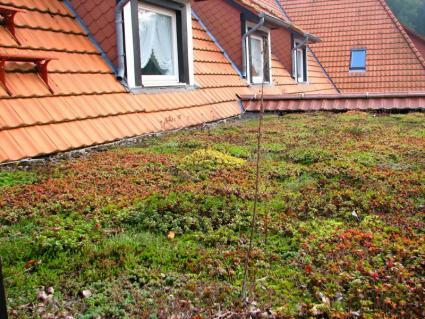 Creating a green roof has great potential to beautify your home and make a unique architectural statement, but it is also good for the environment. By getting to know the plant species that are adapted to the unusual growing conditions of a rooftop, you can plan your own living roof project and help make the world a greener place.